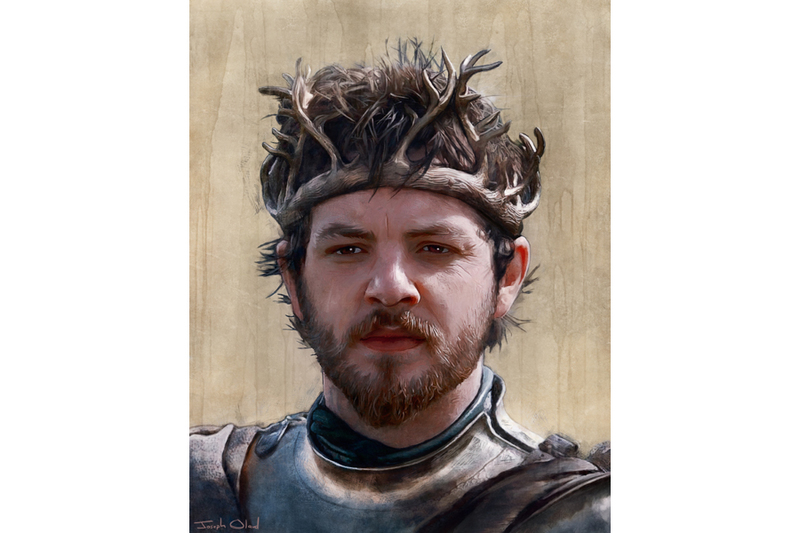 It was necessary to make this the next priority in the ‘Portraits of Westeros’ project. Sadly actor Peter Vaughan – who portrayed the noble and wise blind-man Maester Aemon, formerly a Targaryan and now a man of the Night’s Watch – passed away on December 6th, 2016. Vaughan breathed life into this role with generosity and finesse. There was an honesty and a subtlety to his portrayal that is rarely achieved. He was a prolific actor in British television, cinema, and theater. He will surely be missed by those who knew him, and we are certainly saddened to learn that the flame of his talent has been extinguished. Aemon Targaryen, whose character has quietly disregarded his own surname, is the maester at Castle Black and is an important adviser to the Lord Commander of the Night’s Watch. 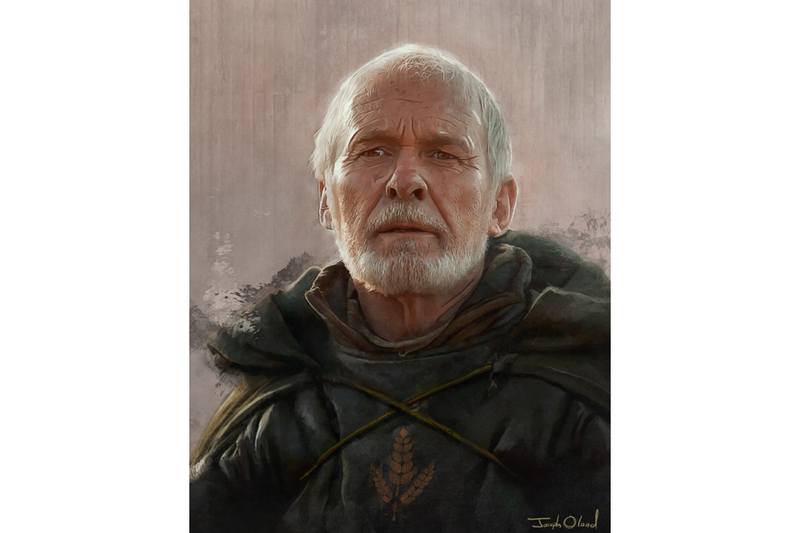 When Maester Aemon is first introduced, he is elderly and frail, blind, but clearly intuitive, wildly intelligent, and serves under Commander Jeor Mormont. Aemon is the last known Targaryen in Westeros, the great-uncle of Daenerys Targaryen. Unknown to all of the principle character of ‘Game of Thrones,’ Maester Aemon is also the great-great uncle of Jon Snow, a tremendous irony given Aemon’s affinity to (and advocacy for) Jon Snow’s ascent within the ranks of the Night’s Watch.